$10 and Under Beauty Buy! My favorite product under $10 this week is the NYX radiant eye liner that also doubles as an eye shadow. 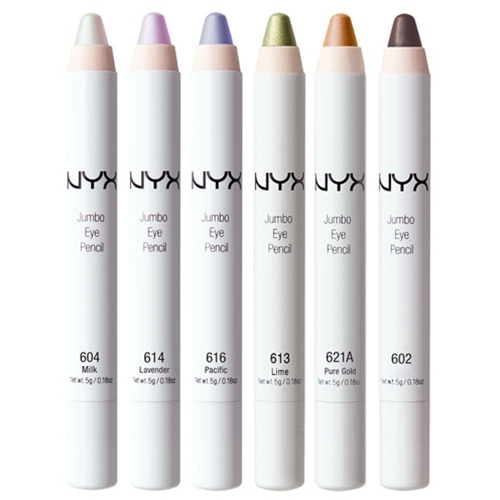 Made with a blend of mineral oil and powder, the creamy Jumbo Eye Pencils glide on effortlessly—no pulling, tugging or fading—and come in a rainbow of vivid hues. Some call her chubby. We say voluptuous. Available in 28 shades. I love this product because you can apply easily and quickly. For those of you that are looking to save time in the morning this product is for you! It also adds a shimmer tone to any eyeshadow. Use this product as a base so your shadows last all day. For only $4.50 why not buy them all?